Knicks SG Iman Shumpert will be examined by the Knicks orthopedic surgeon before his status for tonight’s game 4 is determined. Iman bruised his knee after taking a couple of falls in game 3, one of which caused his knee to bend awkwardly. 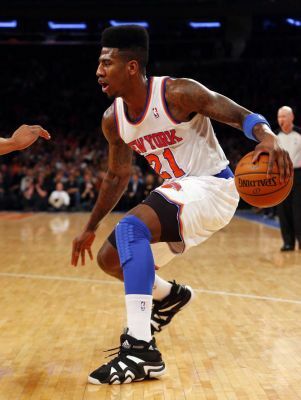 Shumpert is listed as Quesitonable, along with JR Smith and Kenyon Martin. This entry was posted in Articles and tagged iman shumpert, KNICKS, KNICKS MEMES, Knicks news, new york knicks on May 14, 2013 by Tommy Rothman.